Snoring – it’s a problem that affects over ninety million Americans on a nightly basis. Although snoring is viewed by many in a joking manner, it can very easily cause a serious relationship strain, especially if one of the partners becomes sleep deprived due to being kept up by their significant others snoring. This issue can quickly lead to sleeping in separate bedrooms which some experts believe is bad news for a relationship. While it’s true that men are more likely to snore than women, you may be surprised to hear that women are not as innocent as one would suspect. It’s estimated that 1 in 3 men snore while women are not far behind with 1 in 5 that snore. Whichever side of the fence you are on, snoring can become an issue and should be addressed in order to prevent further escalation of the problem. Discussing a snoring problem with your partner is not always easy because he or she may feel as if it’s a non issue. So, how do you go about bringing the issue to your partner and coming up with a solution? Here’s a four-step solution that will help you get the restful night that you deserve. Tackling the issue or snoring starts with engaging in conversation with your loved one. Approach the situation with a level head while keeping in mind that their snoring is not intentional. It’s very likely that they are not even aware of how their snoring is impacting your sleep. After all, they are asleep and have no idea what goes on once their head hits the pillow. When approaching your partner, be sure to do so in an appropriate setting where you both are relaxed and less likely to overreact or become upset. For instance, discussing your partners snoring after they had a stressful day at work may not be the best time to engage in conversation. For instance, perhaps a low stress time after you have enjoyed a vacation together would be appropriate. “This is no fault of your own, but I haven’t been able to get much sleep lately. You probably don’t know this but you snore at night and I’m unable to fall asleep for several hours. Did you want to talk about this now?” If your partner agrees to talk about it, great, it’s time to continue on with the conversation. If they shut down the idea of discussing their snoring problem, it’s probably best to save the topic for another day. Once they agree to talk about the problem, further explain to them that your lack of sleep is affecting your mood, alertness, and performance during the day. When going into further detail, describe it in a manner where you are simply explaining your situation and are not necessarily angered by their snoring. You may be surprised to find that your partner is actually embarrassed by their snoring and sympathizes with you. Now that your partner is engaged in a conversation, ask what their thoughts are on the situation. Beware, they may jokingly respond by telling you to get earplugs. If your partner is reasonable, they will likely empathize with you and agree to discuss a solution. If they disagree that snoring is an issue, it may take some work to get them to better understand where you are coming from. For instance, you may try to further elaborate by giving examples of how your sleep deprivation is affecting your life and potentially theirs. Perhaps you are so tired by the evening that you constantly take naps and are having difficulty waking up to prepare dinner. Maybe you don’t have the energy to do the activities that you once enjoyed doing together. Explain how solving this issue can be mutually beneficial for the two of you. You may say “By getting enough sleep at night, I won’t have to take naps in the evening and can have dinner ready in the evening. Place an emphasis on the benefits of solving their snoring problem. 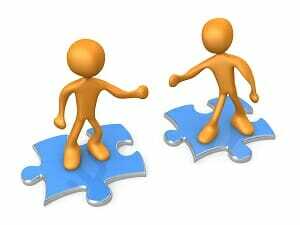 With enough convincing and understanding on your partners part, you will be on your way to discussing a solution. Now that you have opened up the conversation and have your partner agreeing, it’s time to discuss a solution. There are several snoring solutions out there, many are inexpensive (in some cases free) and highly effective. Before going any further, let’s talk a moment about snoring as it relates to Obstructive Sleep Apnea (OSA). OSA is a condition where the person stops breathing for several seconds throughout the night and resumes breathing once again. OSA can cause a number of health problems and is a condition that is grossly under-diagnosed. Unfortunately, one of the primary indicators of sleep apnea is heavy snoring paired with daytime tiredness among other symptoms. While laying awake at night listening to your partner snore, if you have noticed pausing in their breathing, it would be a good idea to have your partner evaluated by a physician to eliminate the possibility of sleep apnea. You don’t want to simply treat a snoring problem if it’s a symptom of OSA. Moving on, there are countless snoring solutions available on the market. It’s a huge industry as it affects a lot of people. I have personally explored several snoring solutions and can offer my insight into each. Reducing your partner’s snoring is often achievable by having them sleep on their side. If you notice that they snore loudly while on their back but not while on their side, there is a good chance that they are a positional snorer and could benefit from sleeping on their side. There are several methods that can be used to achieve this. One of the least expensive methods is to have them wear a t-shirt to bed that has a tennis ball affixed to the back with a rubber band. When they try to roll over in their sleep, the tennis ball will be uncomfortable enough to cause them to roll back on their side. This method is fairly effective for most positional snorers. If you find that your partner rolls over and sleeps on the tennis balls, it may be time to break out the big guns. 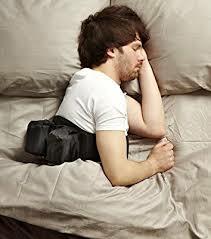 There are anti-snore bumper belts that are worn around the waist and physically prevent the snorer from rolling over. These can be purchased for $100 or less. While weight loss is not an instant solution, it can be a long-term solution that comes with numerous benefits aside from stopping the snoring. Asking your partner to lose weight may not be taken very lightly when first presented. Go over the overall benefits of losing weight and see if they are interested in doing so. If they are not interested, it’s probably a good idea not to push the idea as your partner will never be committed to losing weight. Not all who snore are overweight but the two often go together. Being overweight can cause fat in the neck to push against the airway which aggravates snoring. Lose this fat, and the snoring problem will often disappear. If the snoring does not stop, your partner can benefit from the weight loss in several other ways. There are a number of different essentials oils that you can try to help relieve your snoring. Lavender, Marjoram, Eucalyptus, and Valor are a few that you may want to consider. While essential oils are not nearly as effective as weight loss or positional therapy, it may be worth giving a try. A snoring what? Yes, A snoring mouthpiece, also known as a mandibular advancement device. These small devices are available online only and work wonders when it comes to snoring. 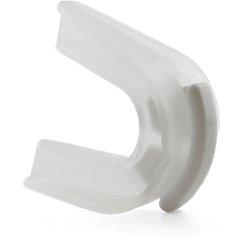 The mouthpiece usually resembles a mouthpiece that is worn by football players, however, it’s not the same thing as the snoring mouthpiece that actually holds the jaw forward. An athletic mouth guard is a simple layer of protection that prevents your teeth from becoming damaged during contact sports. As mentioned, these devices work by holding the jaw forward which tightens the muscles around the airway and allows for unobstructed breathing. Snoring mouthpieces have been around for several years now and are a highly effective snoring solution. I have used several of these devices. You can find a complete list and review of each one here. 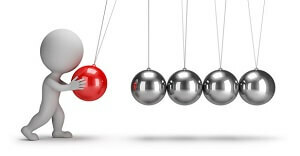 Now that you have presented several solutions, it’s time to decide which one will be best for you and your partner. This is where you may have to compromise a bit. There’s lots of great information on each snoring solution online which will be helpful when making a decision. Talk about the Pros and Cons of each and decide on a solution together. Once the decision has been made, take action and be supportive of your spouses’ efforts. For instance, if they decide to lose weight, be sure to encourage them along the way. Dealing with a snoring problem is never easy. Approach the situation carefully by identifying the problem, gaining their understanding, proposing multiple solutions and then choosing one, and finally taking action. Whatever you do, don’t become hostile towards your partner as they will immediately defend their self by building a wall, which will get you nowhere fast. Next post: CPAP Machine vs Oral Appliance Mandibular Advancement Devices – Which is Better?